What It’s About: A vacation in Portugal goes sour when 13th century Templars — tortured, blinded, and executed for their satanic rites — rise from their graves for vengeance upon anyone they can hear. Why Watch It Today? : On this Friday in 1307, King Phillip IV of France ordered the arrest of Grand Master Jacques de Molay and several other members of the Knights Templar. A powerful and wealthy order of religious knights, the Templars were now accused of heresy, dark arts, and all manner of perversions — all of which, of course, were confessed to under torture. Hatred and fear of the Templars remained high in Europe for centuries, and this movie channels those emotions into creepy and effective horror. 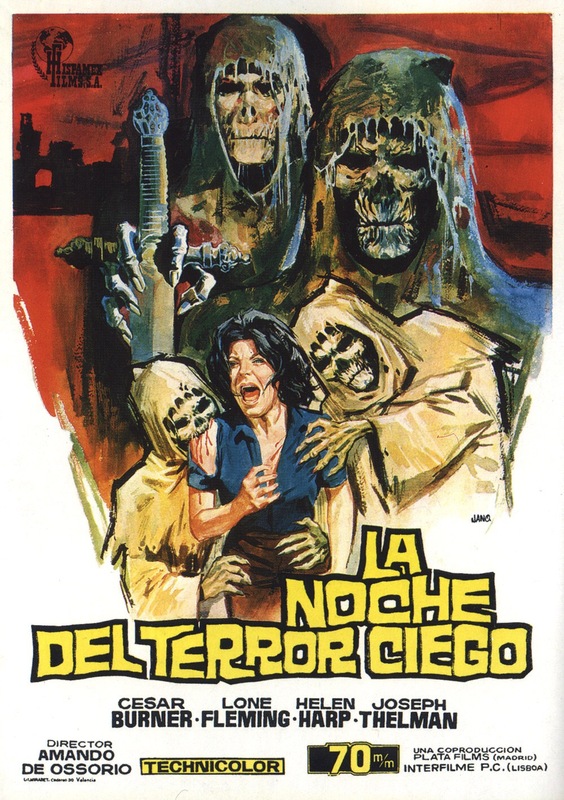 This entry was posted in From Beyond the Grave, Horror, Movie of the Day, Zombies and tagged Knights Templar, tourist, vacation, zombies on horseback.